Bentley: “The Bayou Boys love a good toy. 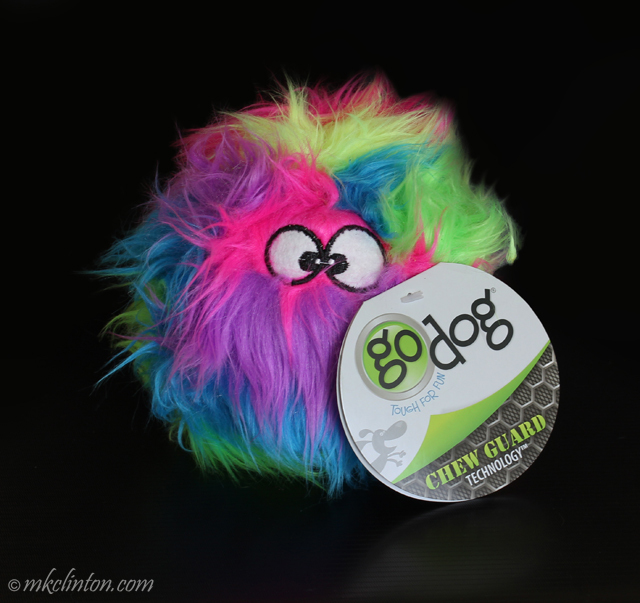 One of our favorites has to be the Furballz from the amazing goDog® division of Worldwise. They make the best most durable toys that we have ever tried and believe me, we have more toys than most pet shops! (Pssst...Don’t tell Mom I said that, or she might get some silly idea about clearing out the toy box)"
*We received our goDog Furballz in exchange for an honest review. 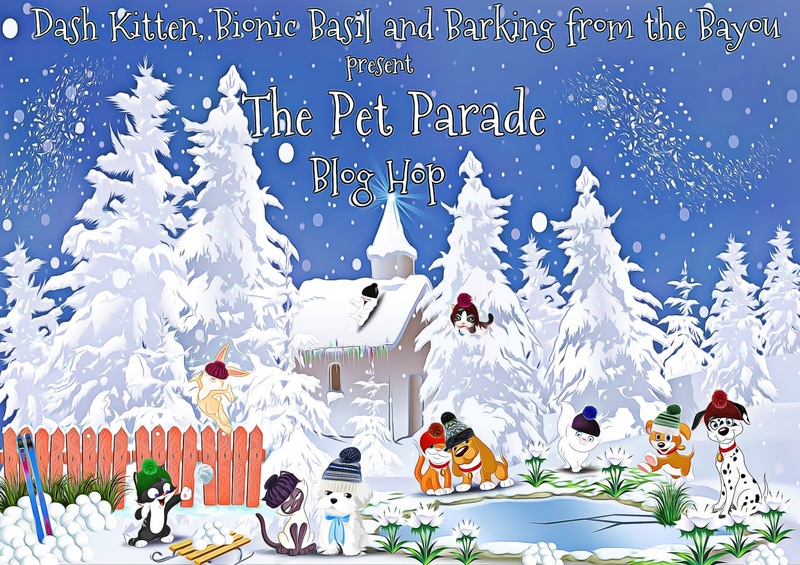 GoDog and Propel Communications are not responsible for the content of this article. Bentley: “Let me just say this…if you are looking for one toy that will make your best friend happy this Christmas morning, fetch them a Furballz. There is just something about the feel of this fur and the loud squeak that I love. In case you are wondering, the fur does not pull out. I’ve tried and Pierre’s tried but we both still have very furry balls! The price will make Santa smile too. 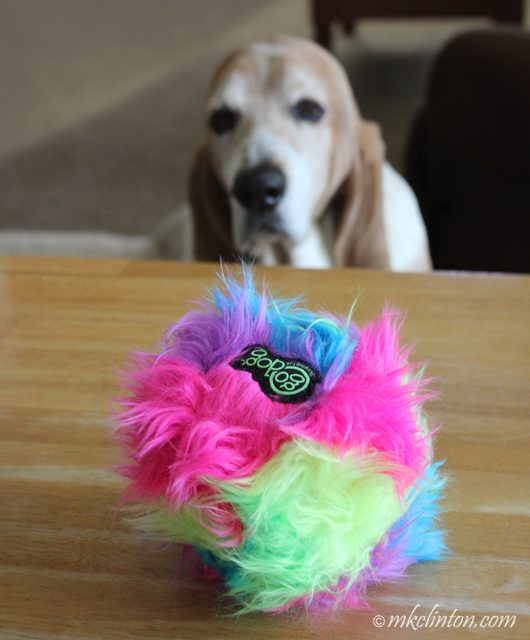 Furballz are available in a variety of colors on Amazon. They are also qualified for PRIME free shipping! Follow goDog on Facebook, Twitter, Pinterest, and Instagram for contests, new toys and much more! We still have our purple and chartreuse Furballz! Mackie loves them when he comes to visit, which BTW, he is coming today to have his furs groomed. I bought Bailie an orange one for her birthday. She loves to run around the house with the huge ball in her mouth, squeaking it non stop. Sometimes she rips the fur out too, which is naughty, but she loves that ball. Yours is very cute in the colorful model. 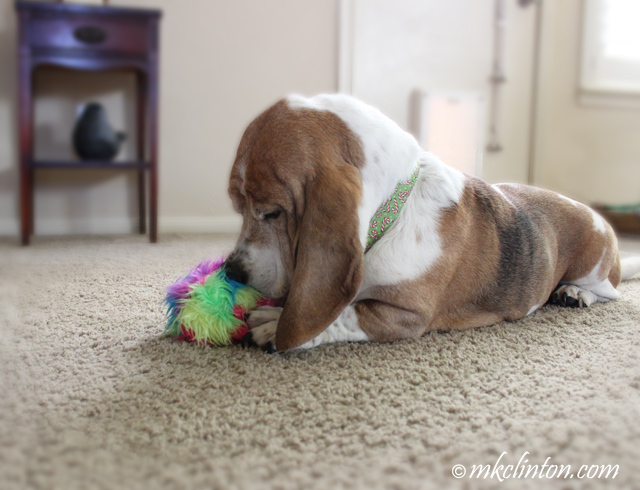 I absolutely adore that photo of Bentley with his toy in his mouth. Waaay too cute! Wow! That looks like a great toy! But I have yet to find an indestructible squeaky toy. Bentley that fuz ball was having a bad hair day for sure. I bet your glorious Basset slobber worked like mousse on it. OK, we have to have one of those too. We are going to send Mom off to Amazon right now. 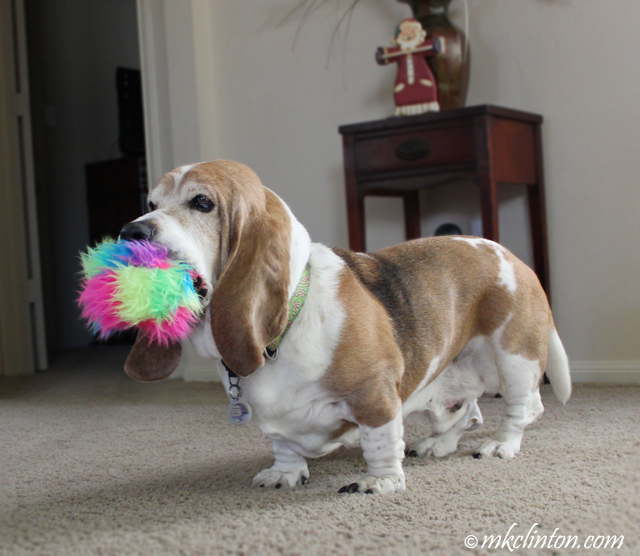 That looks like one furry fun toy! I gots me one of those! It's not the FABulous techocolor one, butts it's still super funs! That looks pretty dang fun! Bentley, we especially love the photo of you with that Furballz in your mouth!